Students identify and quantify microbes in air, soil, water, or any surface. These ready-to-use dual-agar paddles have a longer shelf life than traditional Petri dishes. 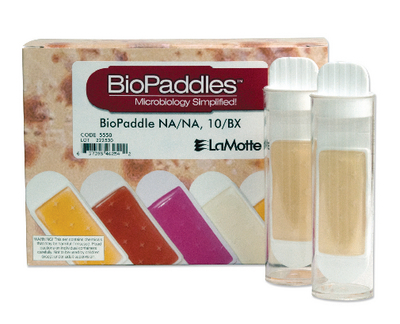 Each BioPaddle contains microbe-specific media enclosed in a sterile vial. 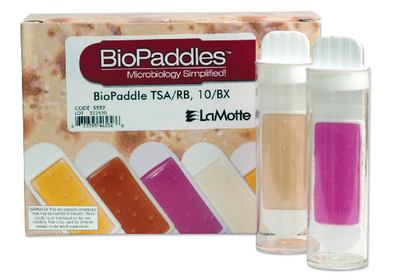 The paddles do not require any other testing equipment. 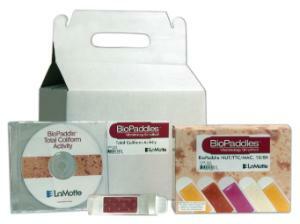 Only a magnifier and warm place (35°C or an incubator) are needed for air, soil, liquid, or surface sampling. All BioPaddle products include a free app that lets students compare the unknown microbe growth on the paddle to known microbe colonies from six microhabitats shown in a library of photos. 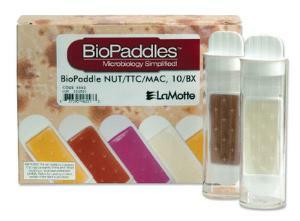 The app also has the option of capturing the BioPaddle image for side-to-side comparison with library photos. Ordering information: This kit includes ten paddles per box and a technical information sheet.